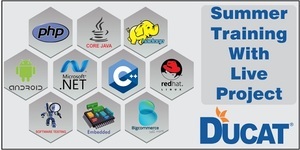 6 Weeks internship program by Ducat for courses like Java, PHP, Python, .net etc. Benefit of the training at Ducat is that it brings you in touch with industry experts and industry environment & challenges. We are inviting for summer training, java internship training, Python internship training, PHP internship training, dot Net internship training, SEO internship training etc.